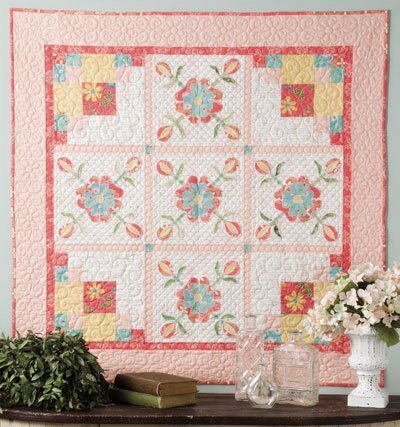 Quilted Roses is just a beautiful collection of soft colors and bold sparklers! 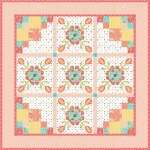 The blocks couldn't be simplier with a log cabin variation and a sweet fusible applique. Instructions are easy to follow with plenty of pictures to guide you along. This quilt was featured by Annies in the book called "Done by Monday" I'm honored to have my quilt grace the back cover.